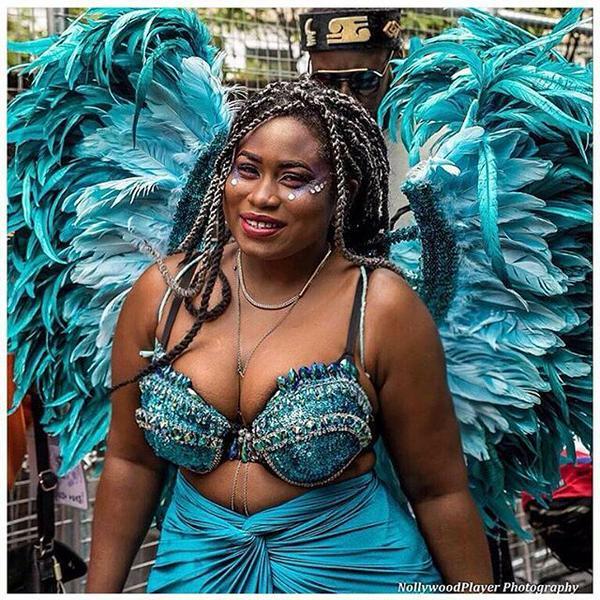 Female personality of the year award winner at Fashion Icon Awards 2015, Lydia Forson is currently in London enjoying the Notting Hill Carnival. The custom the actress wore for the festival was an eye-saw. Notting Hill Carnival is an annual event that since 1966 has taken place on the streets of Notting Hill, Royal Borough of Kensington and Chelsea, London, England.